Lots of London bars try to recreate a fantasy world of retro glamour. The 125-year-old American Bar already has one. There’s no single element that creates the feel, but it’s a mix of everything: the portraits of showbiz stars, the tasteful buff/ivory colour scheme, the gleaming baby grand (in action every evening), the impeccable jazz, the polished welcome from tie-and-jacketed waiters who greet you as a long-lost friend. In this setting, you could drink a can of Foster’s and have a good time. But you’ll be drinking much better than that, of course. 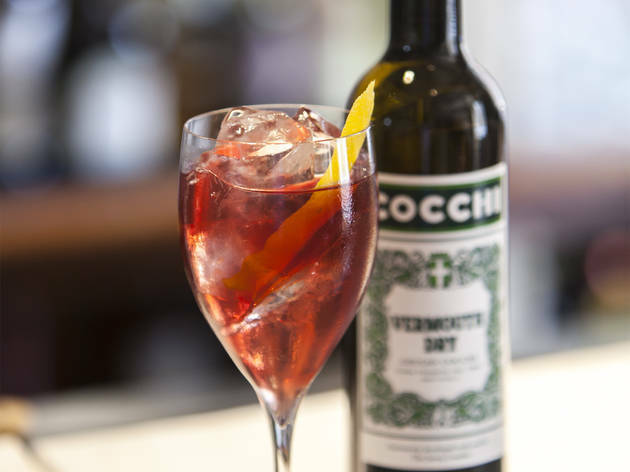 The cocktails here have always ranked among London’s finest, whether on or off the extensive list (which is organised both by historical eras and by spirit and wine categories). This comes at a cost, of course, but prices are not out of line with other top hotel bars. And your drinks come with not only excellent bar snacks but the thrill of sitting in a room where Marlene Dietrich turned heads back in the day. The Savoy’s American Bar is the oldest cocktail bar in Britain, first welcoming guests for its popular ‘American-style’ drinks in 1893. 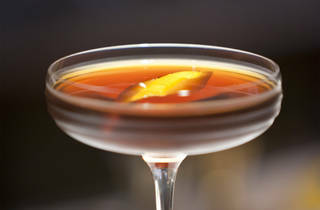 Today, the American Bar enjoys a reputation that positions it at the very forefront of the beverage industry whilst steeped in an incredible cocktail history. Rated as the No. 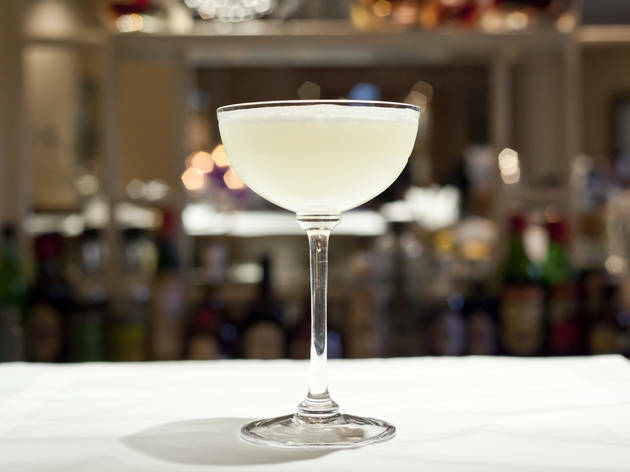 1 Cocktail Bar in the World (2017), American Bar at the Savoy is a sneak peak into bygone times when the bar staff was dressed in crisp white suits, there was a grand piano in the middle playing Jazz and the punters sat in little holes in the wall, giving the illusion of privacy. Till this date, the whiskey cocktail that I had is the best I've ever had. I would highly recommend getting a booking otherwise you'll be waiting in the hotel lobby for quite a while, but if you happen to do that, it is still worth it. American Bar at The Savoy has won the World's Best Bar, at the World's 50 Best Bars 2017 awards this year so my girlfriend and I were keen to go down and check out the beautiful Art Deco establishment. The first thing that really strikes me as we wait in the Savoy Museum for our table is the extensive history - The Savoy has been around since 1904 and you’ll see all of the memorabilia including the first penny the bar received when it opened. The service here is friendly and attentive and the staff do have good knowledge of the menu; however I felt that it was a rather strange use of the space as the bar itself is tucked away at the back so you have a more lounge and table service experience and unlikely to get that bartender interaction or experience. It’s a lengthy menu, so don’t be afraid to ask for recommendations from the staff. The crowd here is also a more mature crowd, given it is The Savoy; however it is a good place to take someone who is from out of town given it’s such an institution. The drinks were interesting and delicious and had their own themed stands or plating which seemed a little unnecessarily theatrical given the establishment. Overall, a great destination to impress, or for something special and you know that they’ll never let you down on the cocktails. Tip: make a booking if you’re on a schedule, they do have a live pianist at times so it can be a little loud. The Savoy is simply stunning and should be on your bucket list in some way, whether it’s a sweet treat in the elegant tea room or the signature menu in the Savoy Grill. The decor is alone will have you in awe before you’ve even tasted the food or soaked up the atmosphere. Drenched in history and oozing with style, the American bar is a haven away from the busy streets with live piano, low lighting and unrivalled table service. The cocktail menu is full of surprises and unique ingredients (mine had refreshing cucumber, eucalyptus and peppermint) and each cocktail is preceded with its own stage, yes stage! A little pricey for everyday granted, but perfect for a special occasion or a little well earned luxury. This is a great place to go for a special occasion and some pre-dinner cocktails. The surroundings are very elegant and sophisticated with a plush carpet and a grand piano playing in the background over the hum of chatter. I love the way the cocktail menu is set out into five sections, The Garden of England, Art Deco American Bar, Sherwood Forest, The Pennines and Castle Rock all celebrating different areas of the UK as well as the elegant 1920's version of the American Bar when it first opened years ago. All the cocktails give a little explanation of the piece of history or area they are based on which made ordering really interesting. The cocktails themselves were delicious, it's not a surprise to hear the American Bar won Best Bar in Europe (second in the world) last year. To be honest, this was a bit of a disappointment. Sure, Savoy Hotel is steeped in history and it's gratifying to think you are sipping a cocktail in the same room as Frank Sinatra or Elizabeth Taylor back in the day (but then you can just go to the hotel museum to learn about all that. It's right next to the American Bar and is free). The truth is, the interior is getting tired and that old school glamour it's renowned for is just fading into obscurity at this moment. The service at the time of our visit (Friday night) was painfully slow. It took ages to get still water we've asked alongside our drinks. The double espresso I've ordered at the end (don't judge, I was looking at a long Friday night in Soho) took even longer to arrive (this was, however, acknowledged by our waiter and the coffee was taken off the bill). The drinks were certainly well executed and served with generous bar snacks. However, I find the Artesian at the Langham packs more oomph and craftsmanship for the money (we are looking at cocktails starting at £18 at both places) and Dukes Bar in St James serves better snacks alongside their deadly martinis (is it me, or no 5 star hotel should be allowed to serve Bombay Mix?) and they certainly pack enough history alongside the whole martini trolley experience. I do want to commend the American Bar for the live piano music and a much friendlier and engaging service than one could expect at a grand hotel of Savoy's pedigree. 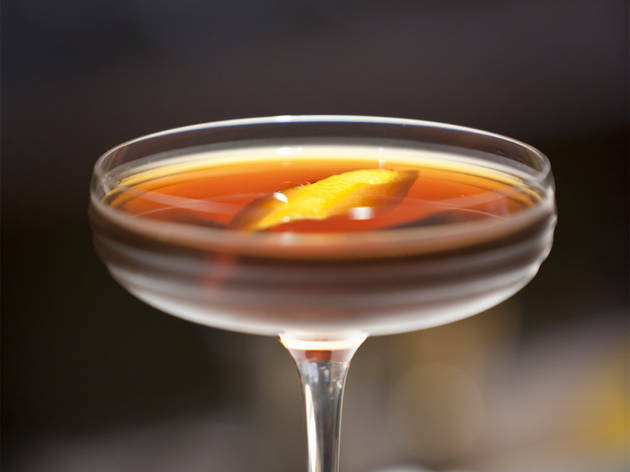 However, I would probably go to the Artesian at the Langham or Lobby Bar at the Edition next time I need a hotel bar experience. Being seated at the American Bar is like travelling through time, there's a sense of glamour from decades gone by. 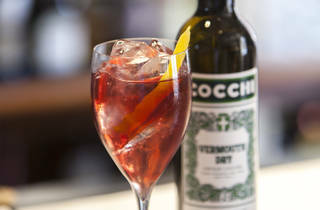 The mixologists and staff really know their trade, and are 100% willing to share their extensive knowledge with you. I think I accidentally had a whisky tasting class on my last visit, which proved both memorable, informative and impromptu. 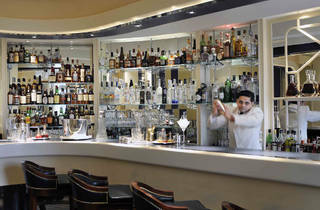 Overall, the American Bar offers classic array of cocktails and a thoroughly luxurious way to spend an evening. I went here for a very sophisticated hen do and had two of the best gin and tonics I had ever had. I also demolished the snack trays that kept coming in a most unladylike fashion so it seems unlikely that I'll ever be allowed in again. Despite the fact that it is very high end, the atmosphere is very relaxed and the waiters are as charming as they are helpful. I'd go again for sure - just let me win the lottery first! Just loved my trip. It is fantastically expensive, but you do get a tray of v nice snacks with every drink, the olives in particular were divine. I had 2 perfectly mixed and presented cocktails. What I also liked was while it is clearly high end and swish there was a genuinely welcoming attitude and no snootiness from the staff. Would highly recommend it for a treat! The american bar in the Savoy is pure glamour! 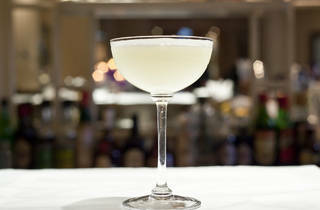 I went there after a night at the opera at the Royal Opera House nearby and it was just the best place for a nightcap. They had live pianist playing, the service was impeccable and the cocktails were really well crafted. It is expensive but for an occasional lovely treat it is great! The Savoy is sort of one of those London bucket list destinations that you have to visit, but making it a weekly favourite is only really for those with buckets of cash. While it provides almost un-parralled outstanding service, and some of the drinks are the best i’ve ever tried (their slightly sweetened bloody mary still gives me the good chills when I think about it), the cheapest cocktails are £16 each, and the best are closer to £25. I can’t speak for the cocktails are £150 each because i’ve never tried one of those. I’ll come back and update this review when i’m a millionaire, or suddenly lose any comprehension of the value of money! The Savoy is an experience - you’re made to feel special no matter who you are, and in most cases, no matter what you are wearing (I once met a friend for drinks wearing dungarees and trainers. I was pretty ashamed of myself for being in such a fine establishment in trainers, but to be fair, I looked cute!) - though I think if you’re dropping £50+ on a round of drinks you want to make an effort and make it more of a special occasion. 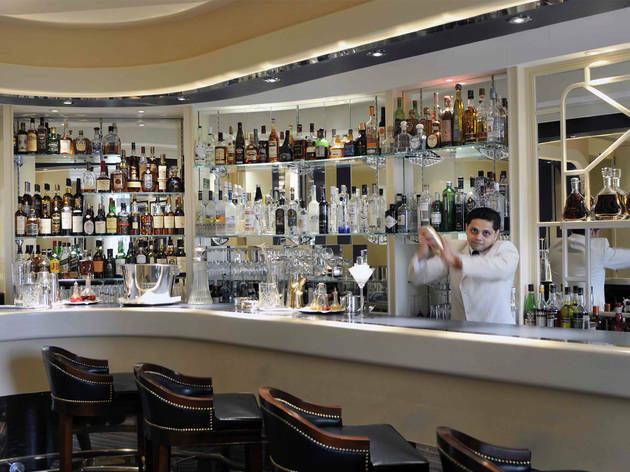 When the pianist plays, the sophisticated atmosphere seems to crank up a gear, though I would say the atmosphere in the Boufort Bar, the Savoy’s other, slightly more chic and elegant lounge, is a little superior, with live jazz and gold lined walls. This bar is beautiful. Spent a lovely evening here with wonderful cocktails and nibbles. Not for the Hoi polloi, if you are able to restrain your native instinct for instant gratification and observe the cadence and timing it takes to create each and every classic cocktail fashioned here adhering to strict preparation and ingredients, then prepare to indulge into a long gone world of elegance and subtle charms not easily found in the world today. The Savoy is the standard bearer of a time when ladies and gentlemen understood the meaning of a night out. Dress the part and the angels will indeed descend from heaven to court your highest desires and expectations. Mine own were exceeded. It was a magical, unforgettable experience. For the cost of a drink you would expect staff to be accommodating and respectful. I found the staff to be pompous and rude. Save your money and enjoy the many bars a stones throw away from this hotel. I went to have a pre-theatre cocktail with my husband. Service was so bad we had to leave before we even had our drinks served. 15 minutes to taking the order then over 15 minutes more before we decided we had run out of time. Don't waste your time. Ambience was not that great as low ceiling gave a less that luxurious feel. Swani is an artist, a musicien, a top chef, a yogy who blends his extreme drinks knowledge with work of art for every single for every single person....he shares his passion and history of bartender industry with us. I arrived alone at the bar to try one of those famous drinks I read about in the magazine. Swani made sure all staff speak to me to feel comfortable. The pianist even sang a song for me :) Two others ladies form the US and one other form Denmark joined me at the bar and we created a bond of new girl friendship, sharing stories and watching Swani concotte delicious, exploratory to your pallet famous drinks.